Strawberry Picking near Appleton Wisconsin. Hello Friends of the Farm! Well everyone, it looks to be a late spring, what a snowstorm this was, historical. Our best indications from the total snowfall is to be over 30” of snow with some drifts as high as 15′ to 20′. We just need to wait and see how long it takes all of it to melt. Strawberry picking at the Farm probably won’t be until the later part of June, unless of course we get some extreme hot weather. Just a patient waiting game we guess for Strawberry Picking near Appleton Wisconsin. Our Fresh Tender Asparagus Countdown is well under way, only 9 days left?? We hope to have yummy Asparagus available the beginning of May at the Farm Store. Organic Lettuce will also be available that is grown in our high tunnel. We all just need to be a bit patient yet. Soon the Farm will be free of snow and come alive, the frost will be out, and planting season will finally be here. Better late than never, Right! I’m sure everyone is suffering from cabin fever and just wanting winter to end. Are you Thinking Strawberries yet? Strawberry picking at the Farm usually starts about mid-June and only last 2 to 3 weeks. This year might be more reasonable to say towards the end of June? Fresh Peas (edible pods and garden shucking types) will also be available for picking around the Strawberry season, along with pre-picked peas. We offer both pre picked and pick your own strawberries during our season. Strawberries are sold by the quart or box both for you pick and or we pick strawberries. The fields for the u pick strawberries have easy access from your vehicle, you park right next to the field you are picking in, can’t get any easier than that. 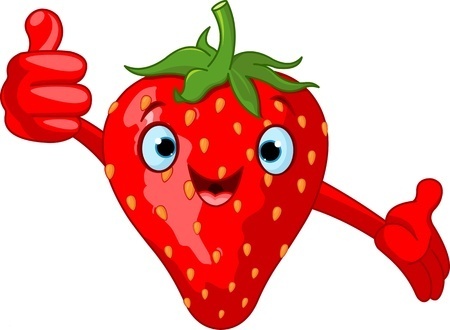 The Strawberry Farm is located a short distant from the Fox Valley, only 20 minutes from Green Bay, 25 minutes for Strawberry Picking near Appleton Wisconsin area, 18 miles from Clintonville, and a very short drive from Hortonville, Neenah, and Suamico areas. We would like to invite you and your family to the Farm this year to enjoy one of our picking adventures or just pick up some Fresh Picked Produce from the Farm Store to take home to your dinner table. Stay tuned for more updates on our blog post from your Friendly Farmer Troy or follow our daily activities on our Facebook page at https://www.facebook.com/porterspatch. ?ref=ts If you like what we do at the Farm please feel free to write us a review on Facebook or visit our google page https://plus.google.com/+PortersPatchBonduel and rate us with some stars. Mid-September-End Oct – Our Farmtoberfest celebration begins, search the Patch for that perfect pumpkin you have been dreaming of all year, try your luck in our Corn Maze, and enjoy a scenic relaxing Hayride on the Porter Patch Pumpkin Express and much much more.